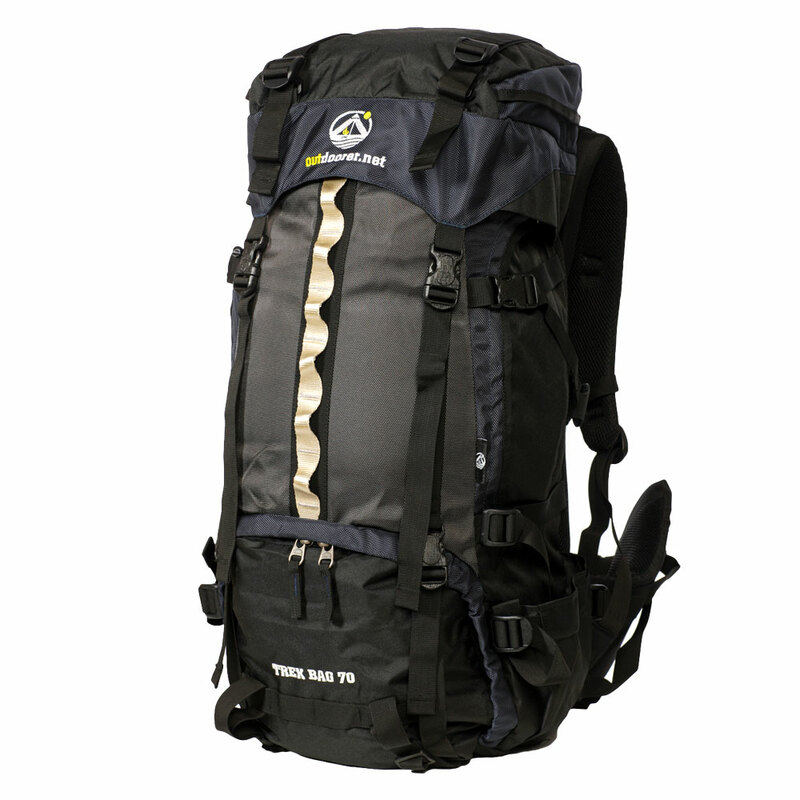 The Trek Bag 70, a trekking backpack with 70 litre capacity, is the ideal companion as a travel rucksack and on multi-day tours. It offers a lot of storage space and yet weighs only 2000 g.
The trekking rucksack is made from robust tear-resistant polyester material, and is shower-proof thanks to its ULY / PU coating. The smoothly-running massive zips are brand products from SBS. For easy handling, we extend this with a strip of the original backpack material. Even the zips are water resistant everywhere thanks to their being covered. Order the Trek Bag 70 now on Amazon! The large main compartment can quickly be split into two if desired. The main compartment can be accessed via the front or from above. There is a handy zip pocket on the cover and another 2 folding pockets, which expand when needed, are located on the sides. The 2 side pockets below them can, for example, be used to carry drinks and longer items can also be stored here, because they can be fixed lengthwise with 2 further belts. A day-pack, sleeping bag, mattress or blanket can be attached using the 3 double conveyor belts. 2 tool holders complete the fastening system. 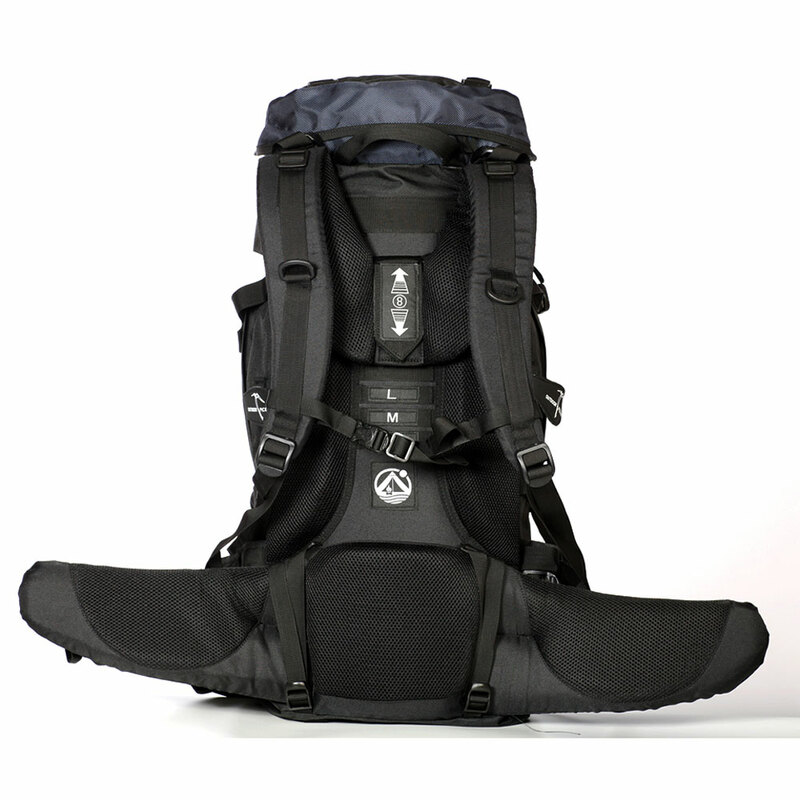 The 8-way adjustable suspension system allows the trekking rucksack be adapted to any back length. The hip fin is also flexible and adapts to the hips comfortably. Thanks to the integrated suspension system the ergonomic trekking rucksack can be easily and quickly adapted to any back. The flexible hip fin also adapts to your hip – even when you are walking! 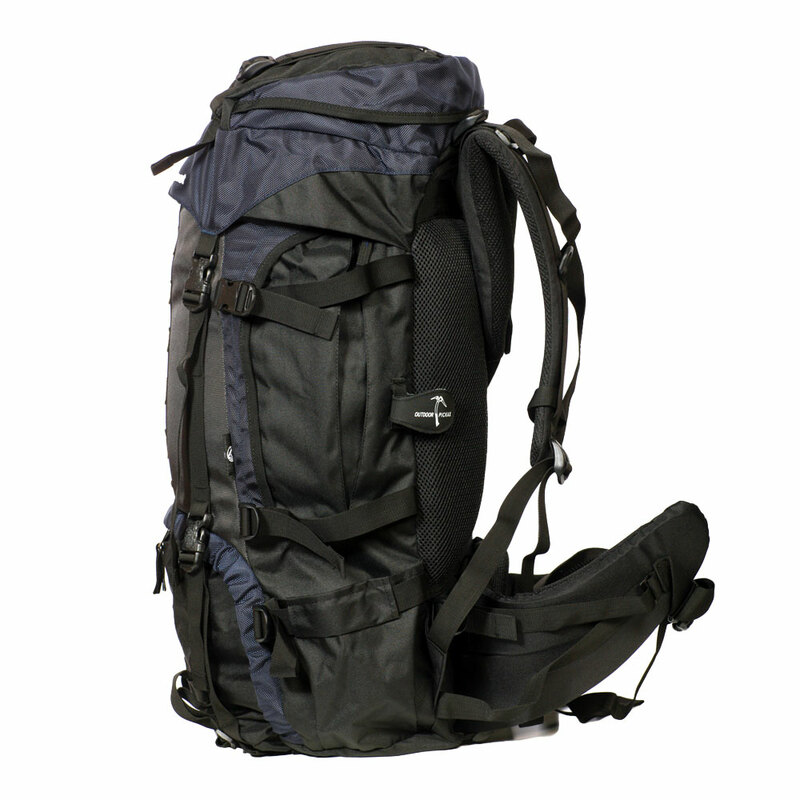 To prevent sweating, the Trek Bag 70 has S shaped straps, which have a mesh surface. There is also rear ventilation for the spine. The S-shaped supports are described by women as very pleasant, because they do not constrict the chest, as is often the case with other unisex models. Where to buy the the Trek Bag 70? You can order our Trek Bag 70 on Amazon.